We have safely landed in London! 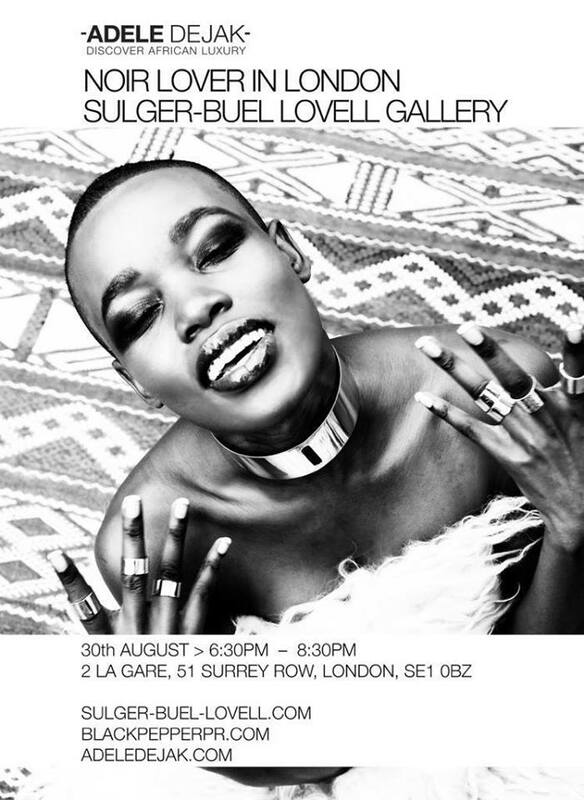 Our first stop for our Noir Lover campaign is London for a showcase at the Sulger-Buel Lovell Gallery. The Sulger-Buel Lovell gallery, based in London and Cape Town, is one that is focused on exhibiting significant, established and emerging African talents. Tomorrow, Tuesday the 30th of August we will be at the gallery to showcase our collections, both old and new. The showcase promises to be a unique experience. If you are in London, be sure to drop by the gallery. Drinks and canapés will follow the presentation. You will also have the opportunity to meet and chat with Adele herself about all collections and forthcoming projects.